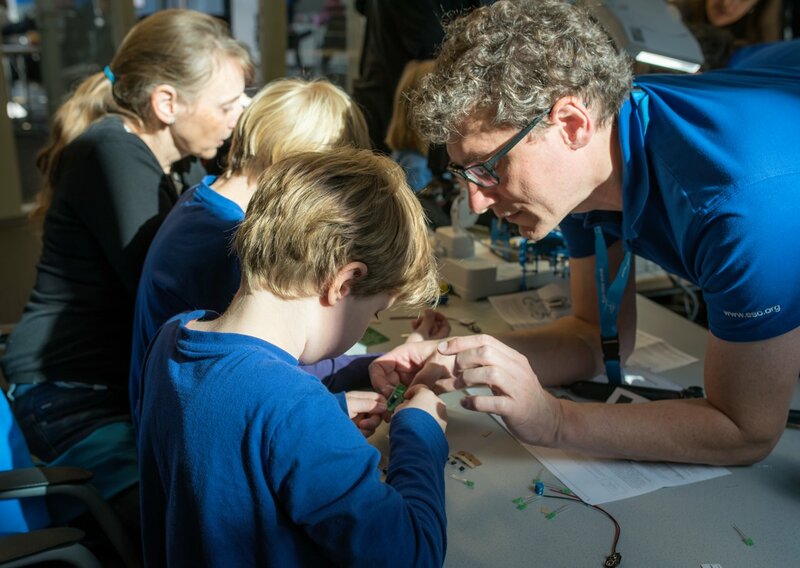 FORSCHA, the annual science fair of Munich, is an event that aims at getting the public involved with science, technology, engineering and maths (STEM). With a varied programme for children, young people, parents and educators, the event encourages everyone to learn more about our world and the Universe we live in. This year the fair will take place at the MOC in Munich from 17–19 November 2017. Following last year’s successful participation, ESO will have a stand at the FORSCHA event with hands-on experiments based on activities being developed for the new ESO Supernova Planetarium & Visitor Centre. This year, ESO is delighted to be working with students from the Werner-Heisenberg-Gymnasium in Garching, and with support from the Project Management Institute Southern Germany Chapter. The school students will help FORSCHA participants experience the capacity of both current and new ESO telescopes to probe the mysteries of the Universe otherwise beyond our sight. The ESO Supernova is set to open on the ESO Headquarters site just outside Garching bei München, Germany in April 2018, and construction work is currently nearing completion. Designed as a free and open source of astronomy education, the ESO Supernova is producing high-quality educational programming, in collaboration with our Education Partner Haus der Astronomie, for audiences of all ages. FORSCHA is a very popular science fair, with last year’s event seeing over 55 000 enthusiastic visitors. ESO is excited to be working one more time alongside other educational exhibitors to engage a new generation with STEM subjects.